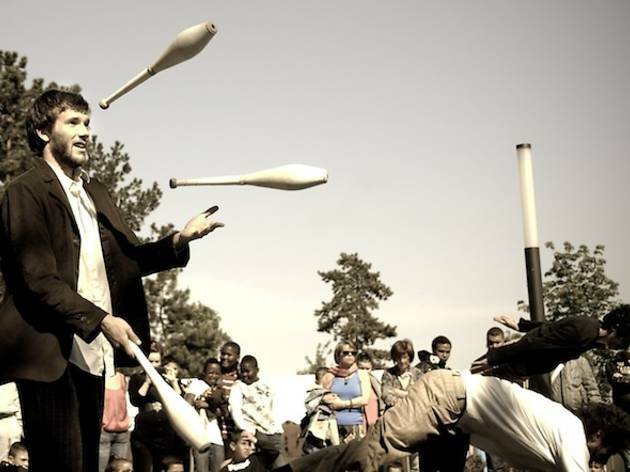 This is no typical big top outfit – the Bascule collective is a young Circassian circus company who’ll be taking over the green lawns of the Parc du Choisy this weekend. Elastic and daring acrobats, the five members trained at the Centre National des Arts du Cirque and elsewhere, and clearly have a flexible relationship with gravity. 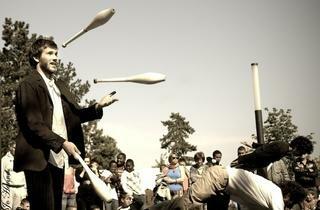 The show works in a full circle around a giant see-saw, with juggling, dance and airborne acrobatics. The whole show is free and runs for 35 minutes.